Follow link to download pdf version of Environmental policy. Use our search facility to search by EWC Code or Text – invaluable tool for all EHS personnel who are involved in reporting or preparing Waste Documentation such as WTFs (Waste Transfer Forms), TFS (Transfrontier Shipment of Waste Forms) or AERs (Annual Environmental Reports). Follow link above to download pdf version of EWC Code List. Follow link above to download pdf version of Health & Safety Policy. Useful Definitions from relevant Legislation and Regulations currently in place. 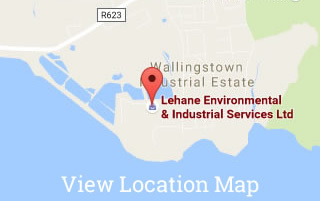 Lehane Environmental is not contracted to any individual Treatment / Recovery / Disposal Facility. Consequently, we are able to offer our Clients the most cost effective route at all times. Follow link above to download pdf version of IOSH Certificates. Follow link above to download pdf version of DGSA (Dangerous Goods Safety Advisers) Certificates.